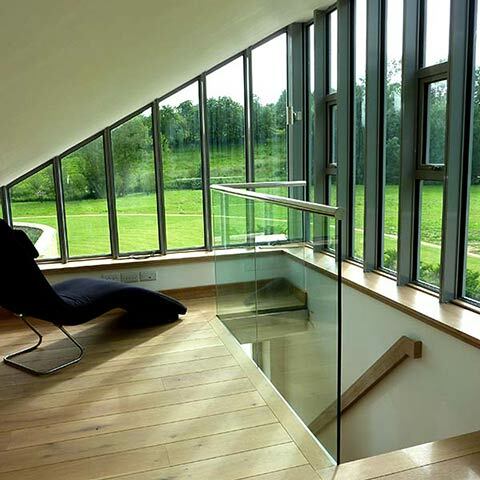 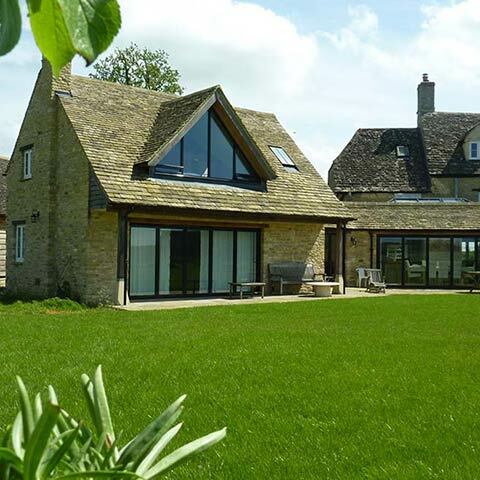 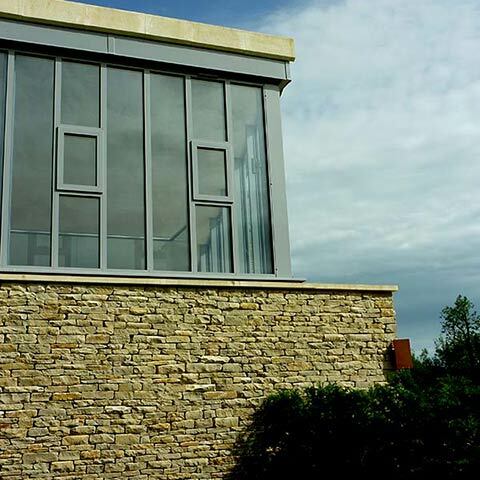 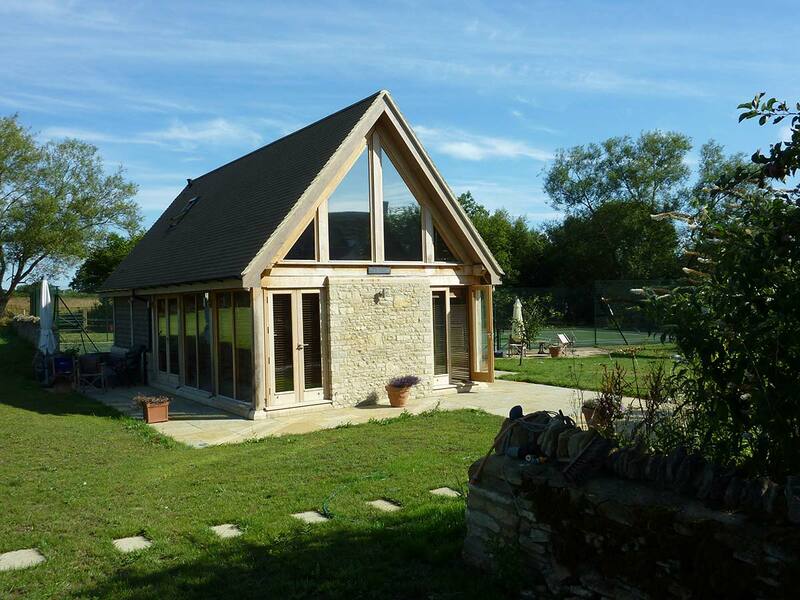 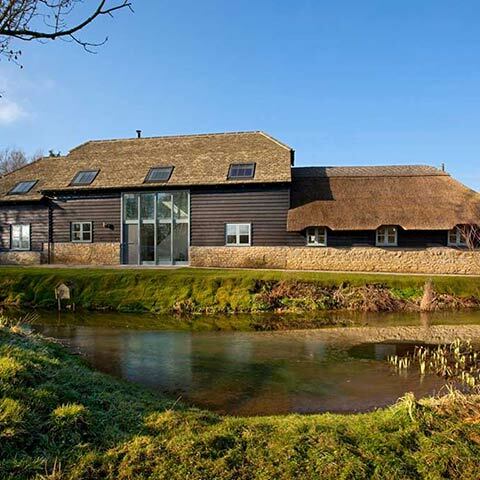 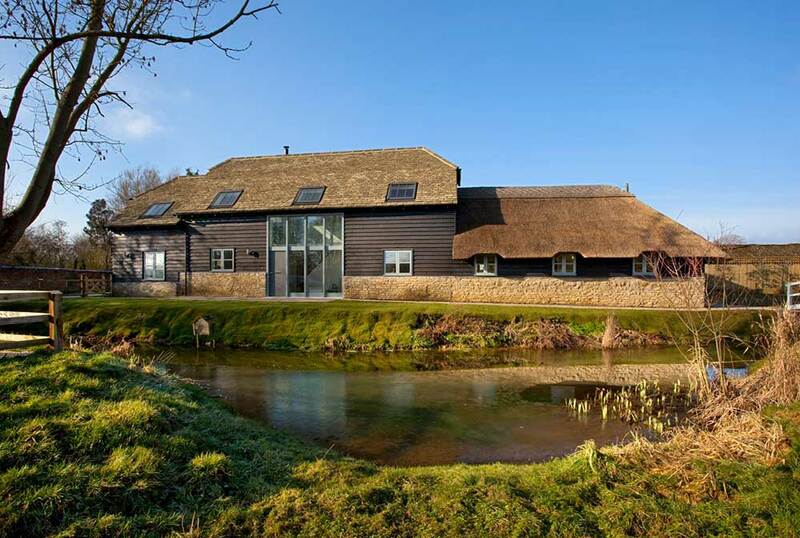 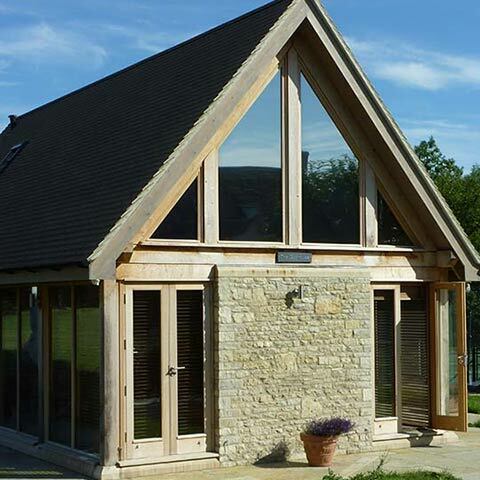 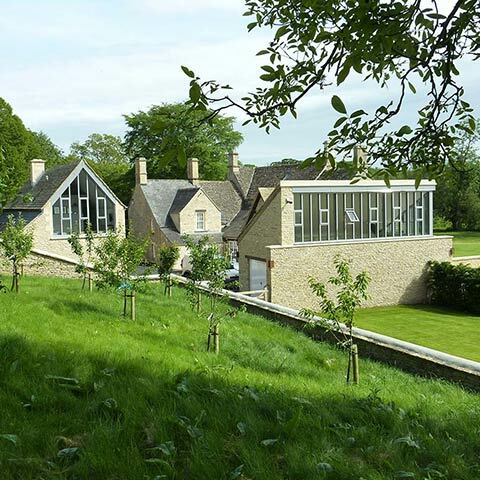 This project provides extensive additional domestic and leisure facilities for a beautiful stone house in a river meadow location. 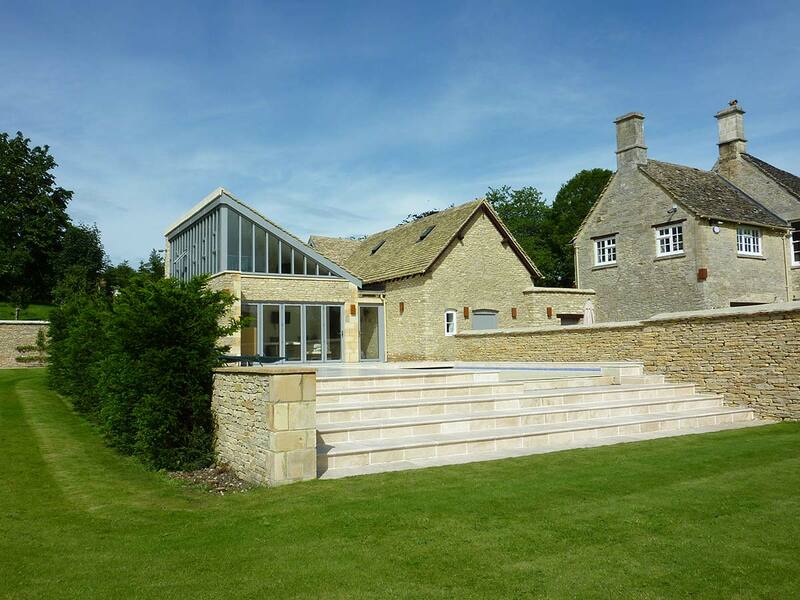 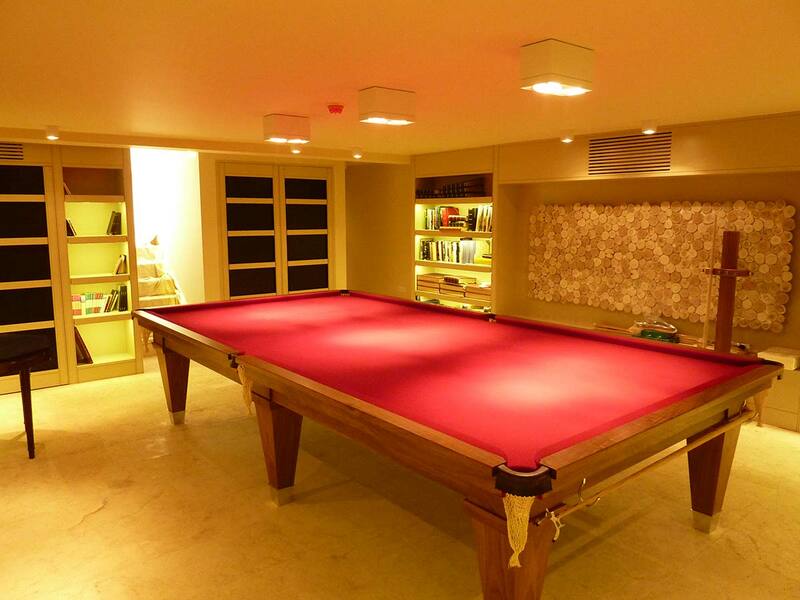 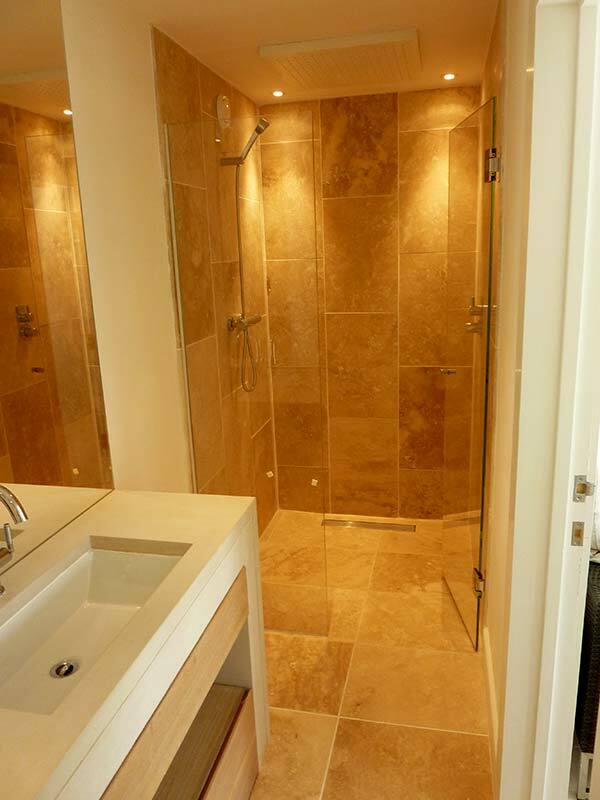 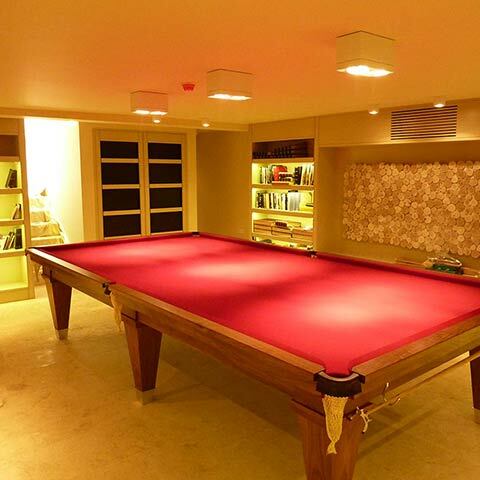 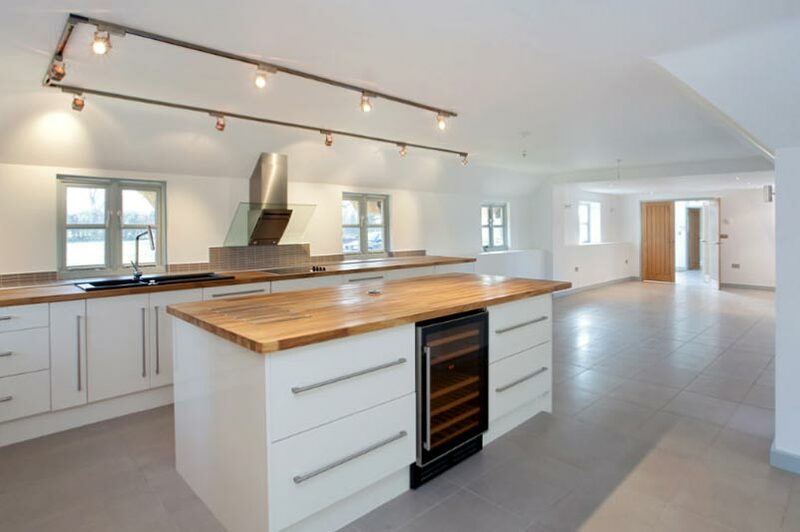 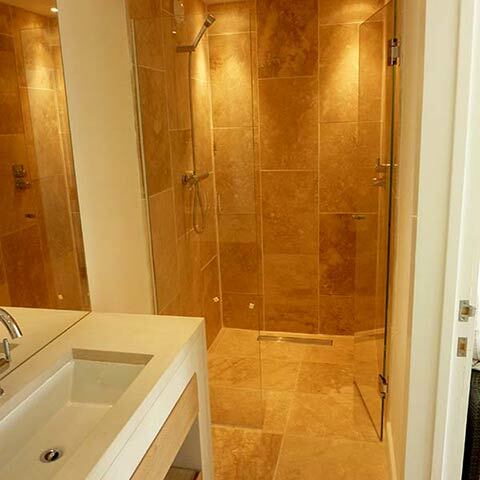 Work was spread over 3 years and entailed the construction of a separate annexe building with basement leisure spaces, pool building and new tennis court. 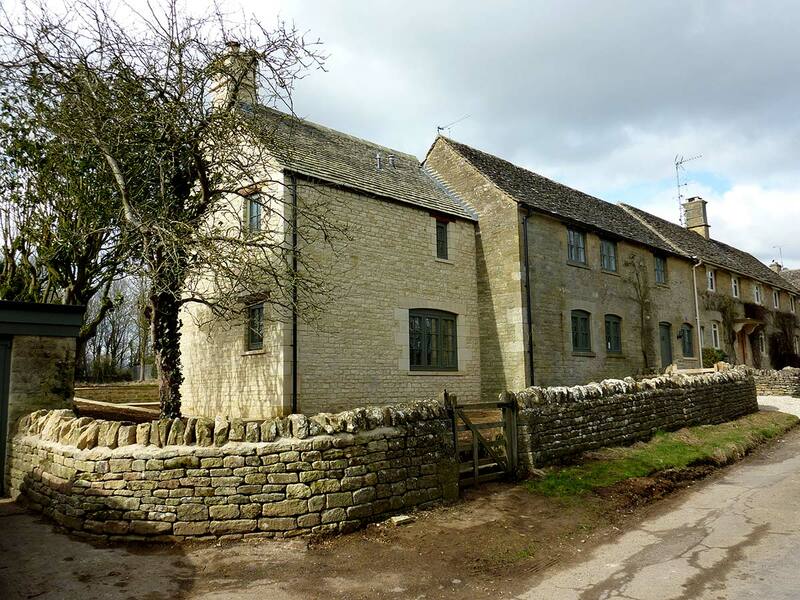 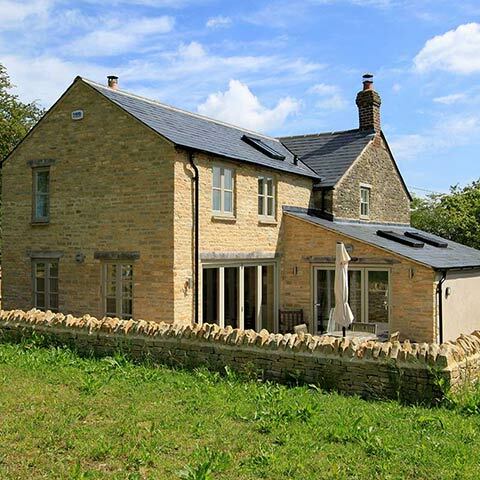 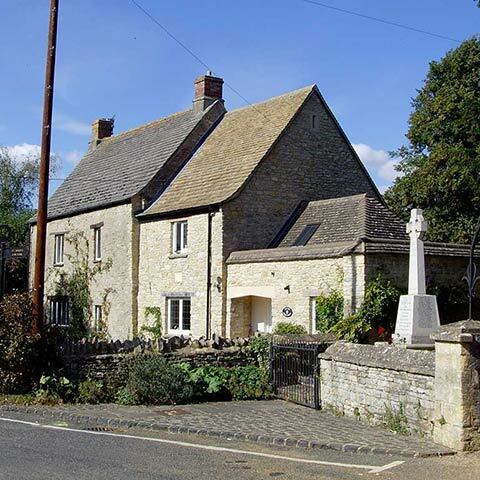 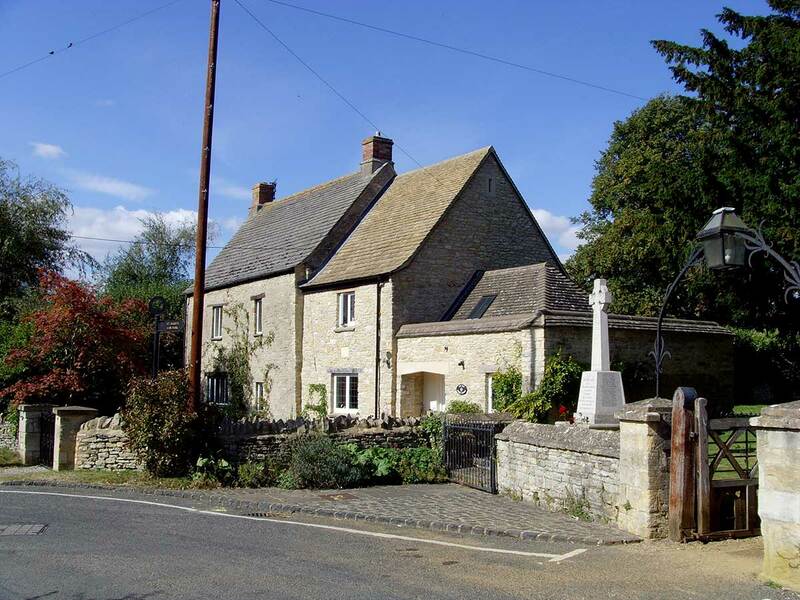 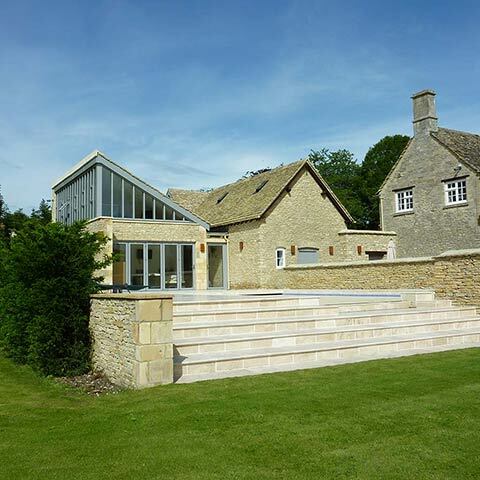 We were successful in obtaining planning consent to make a significant extension to this large stone house on the outskirts of the village. 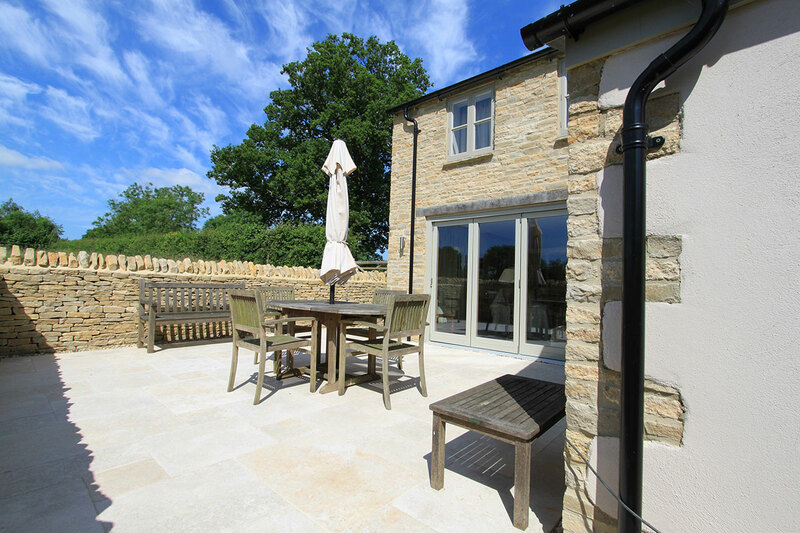 The slender, glazed linking feature incorporates the new main entrance and the new building group wraps around the private rear garden which has magnificent views to the west. 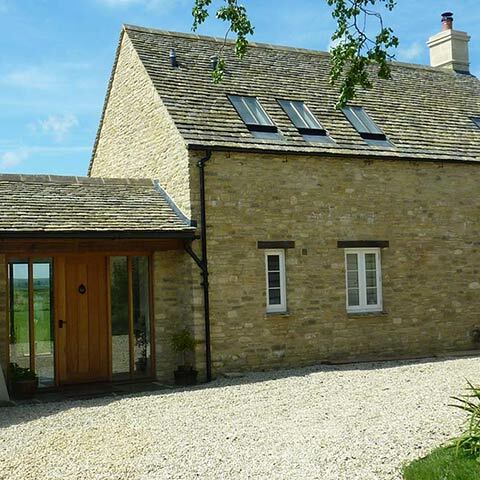 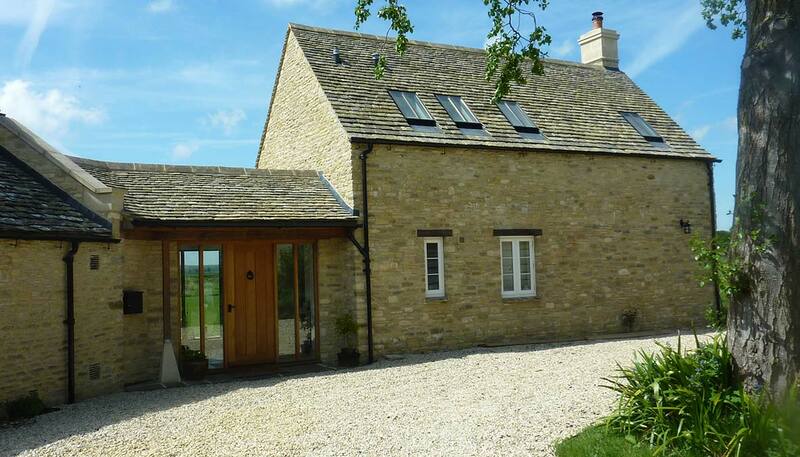 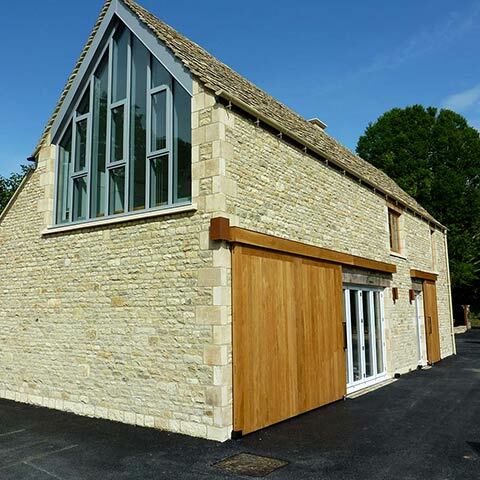 Traditional stone detailing makes the new work sit well with the original house. 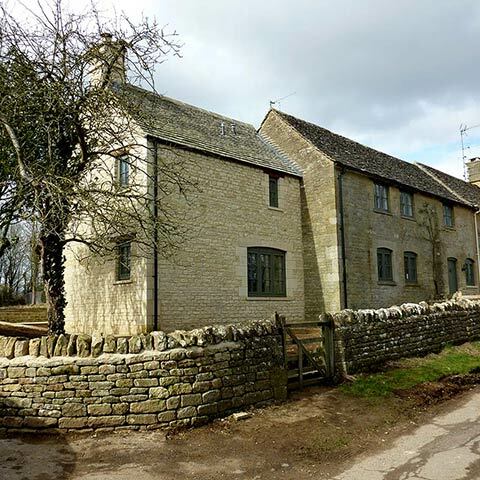 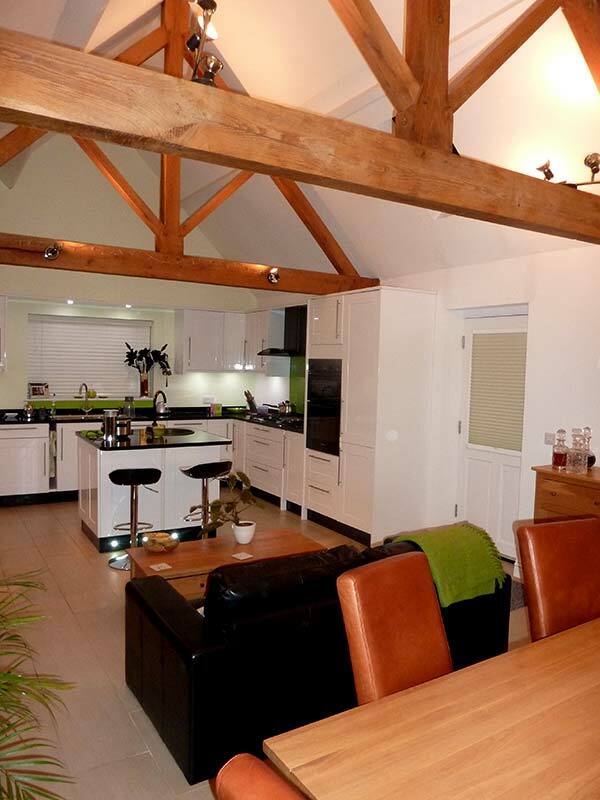 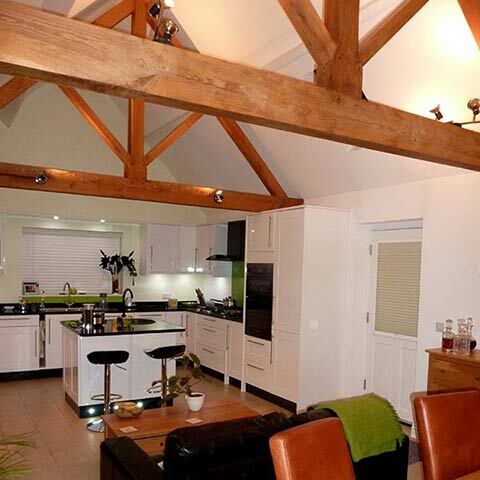 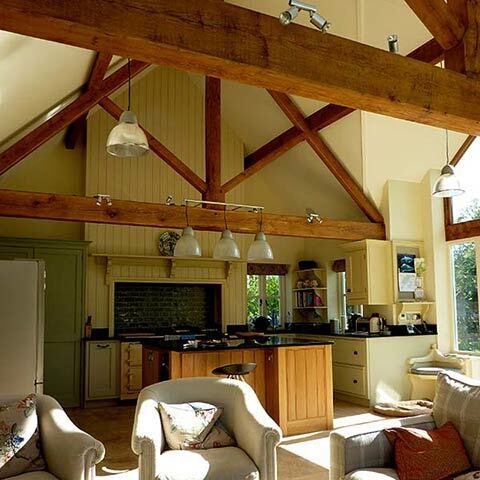 This group of farm barns were in a very poor state and extensive replacement of rotten timbers was necessary. 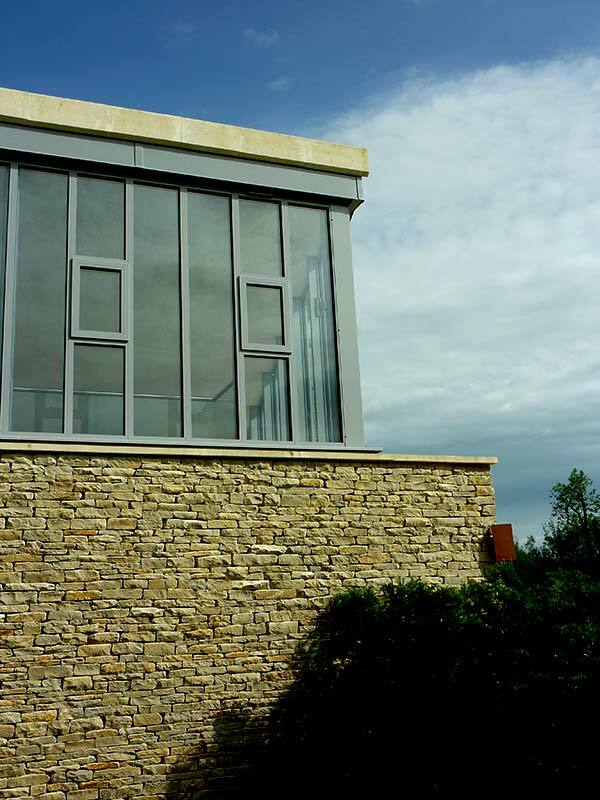 The building has a pretty waterside location and a crisp minimalist aesthetic was given to the interior spaces. 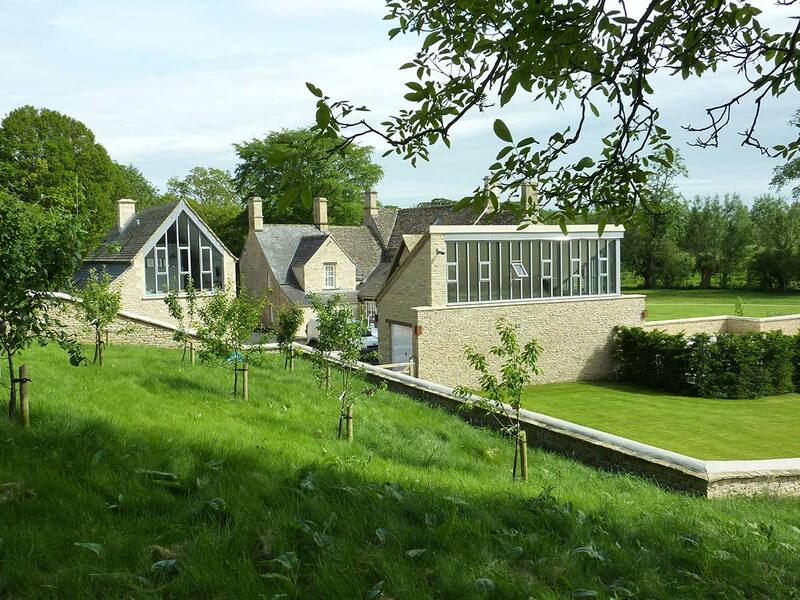 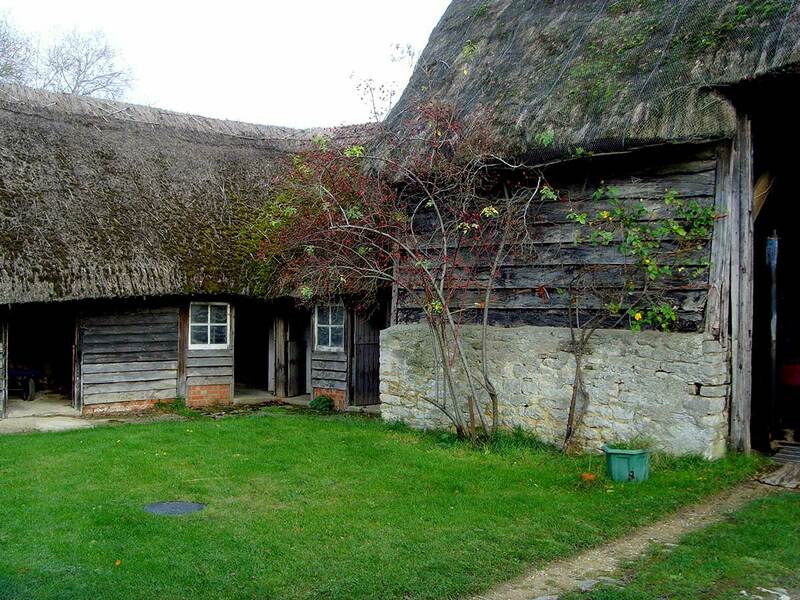 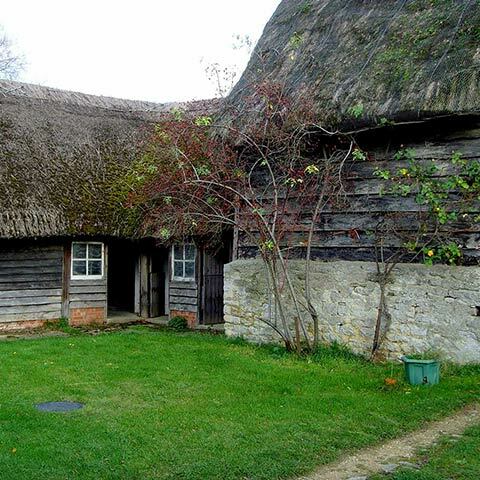 This stone and oak framed building stands in extensive gardens and provides annexed accommodation to the main house. 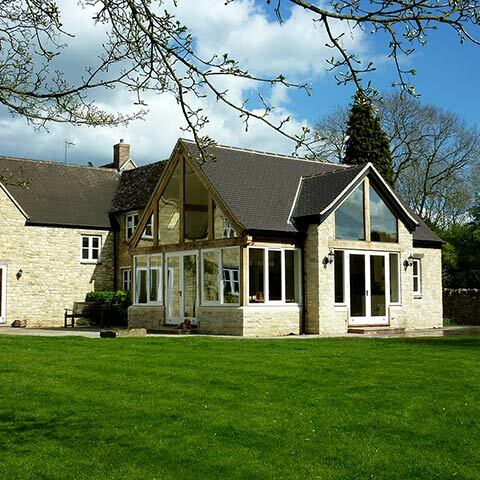 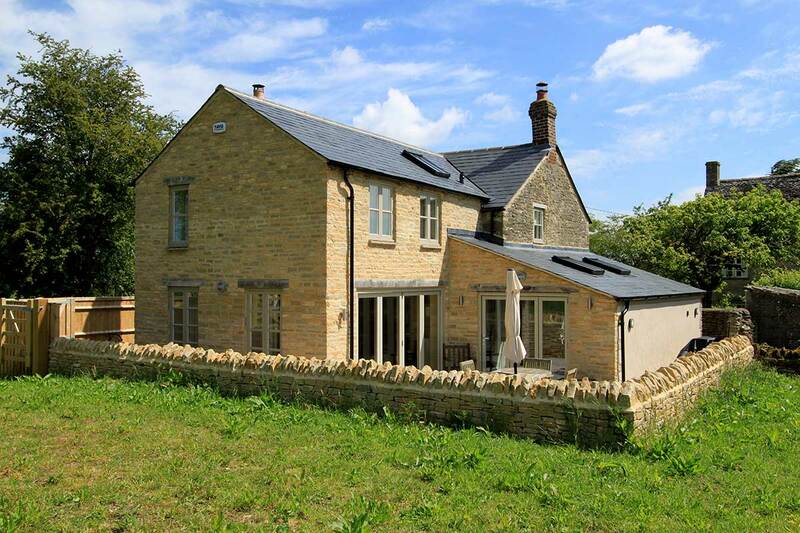 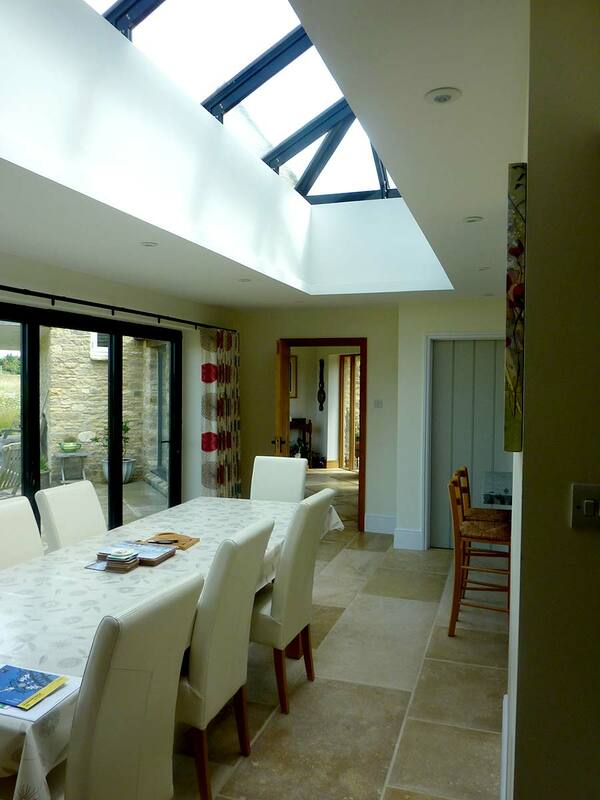 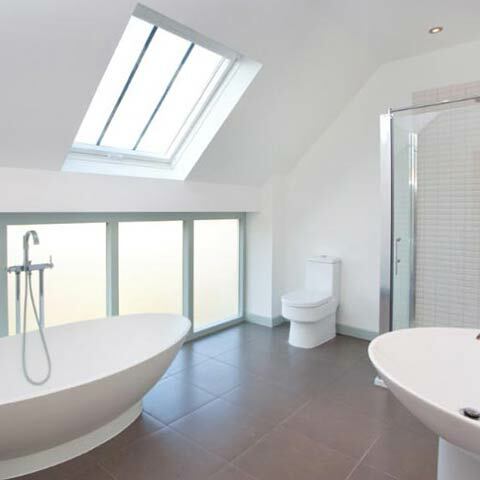 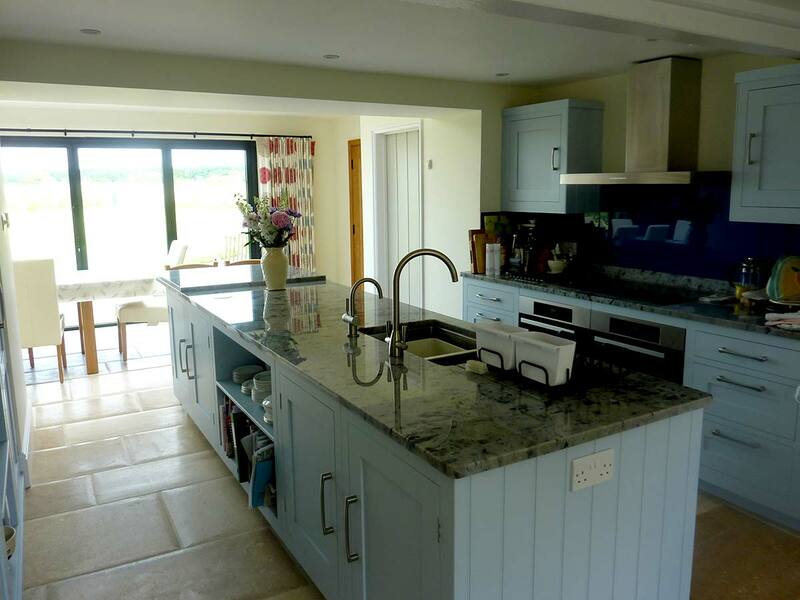 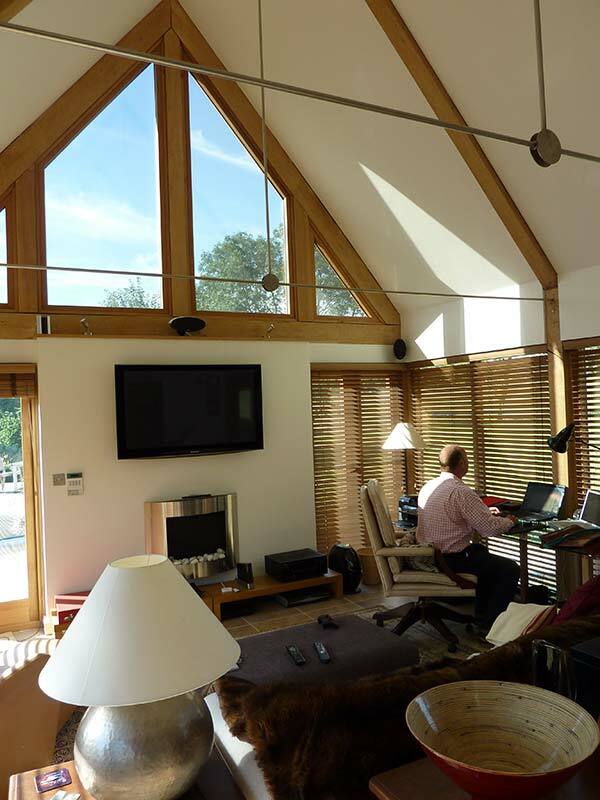 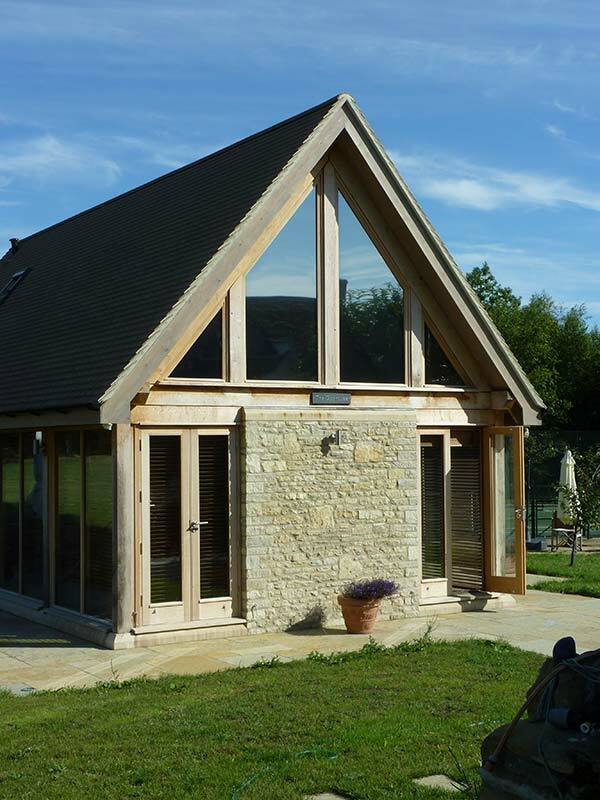 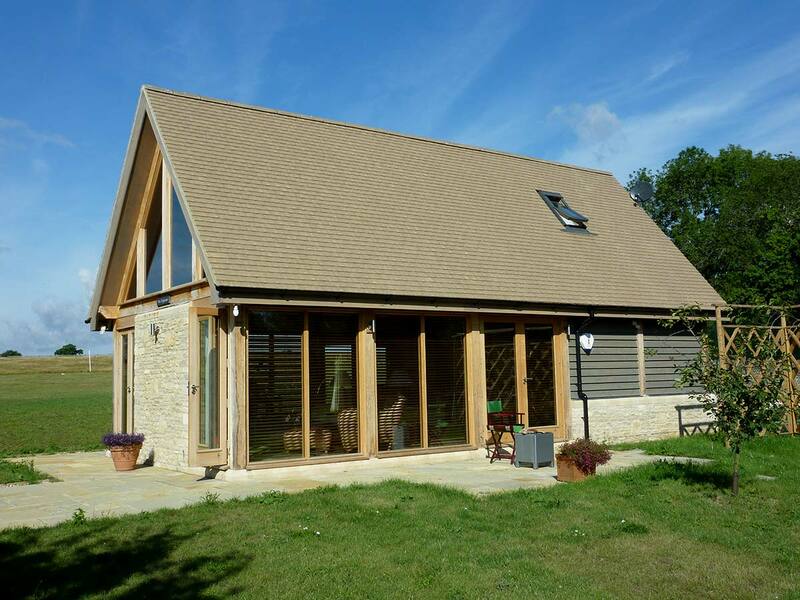 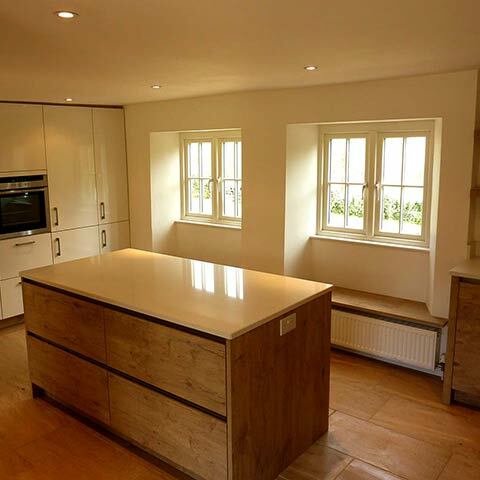 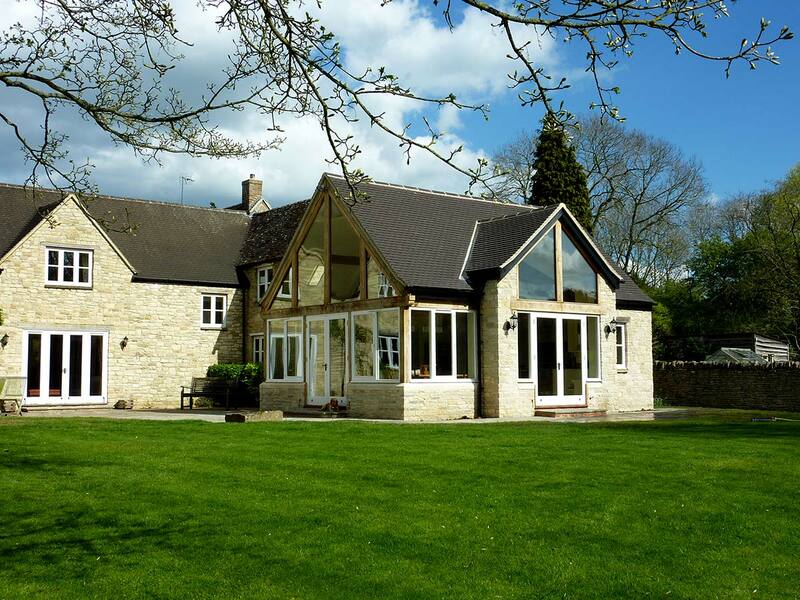 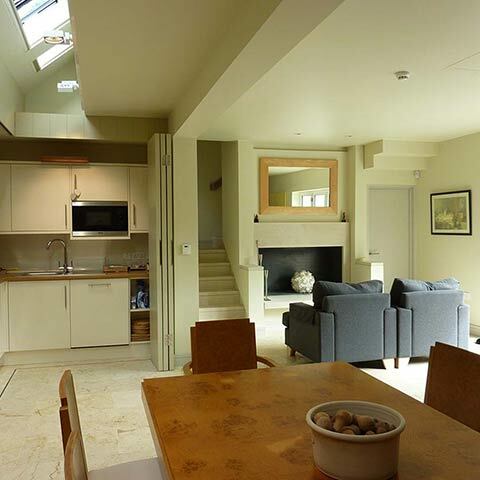 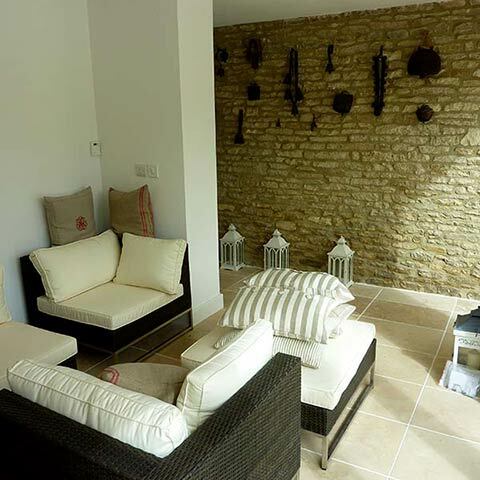 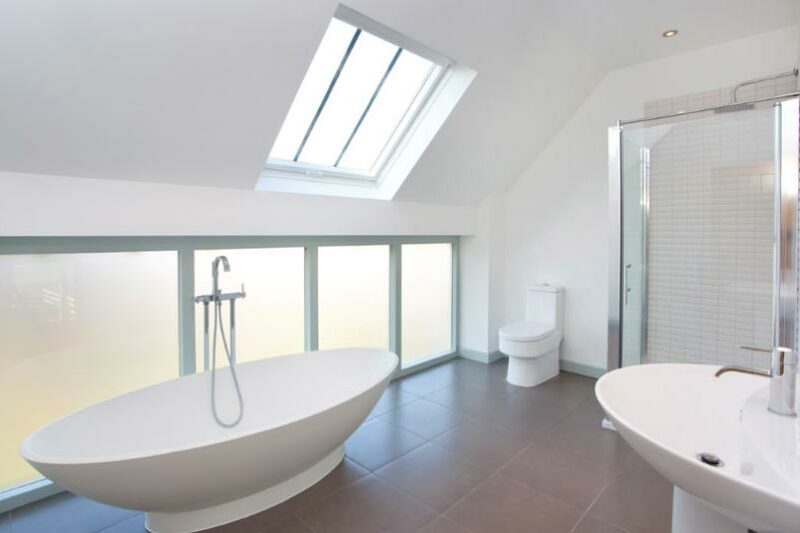 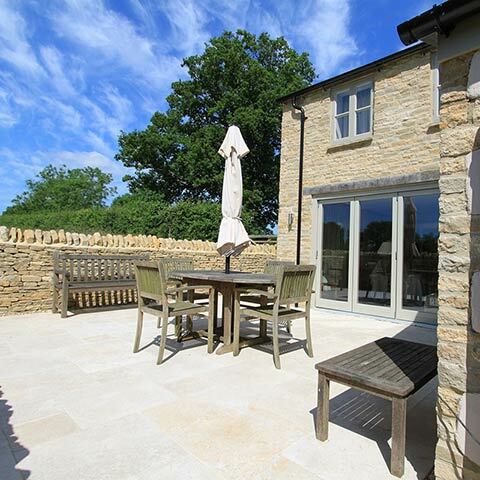 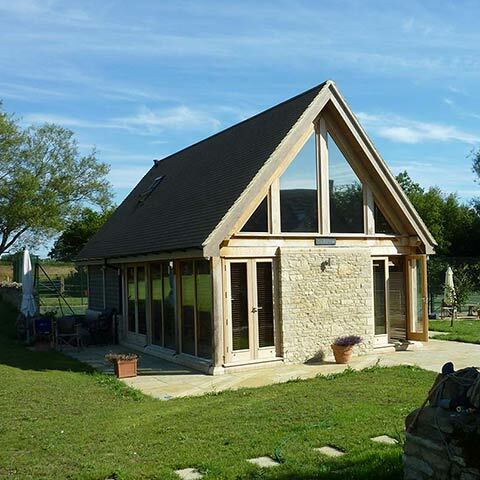 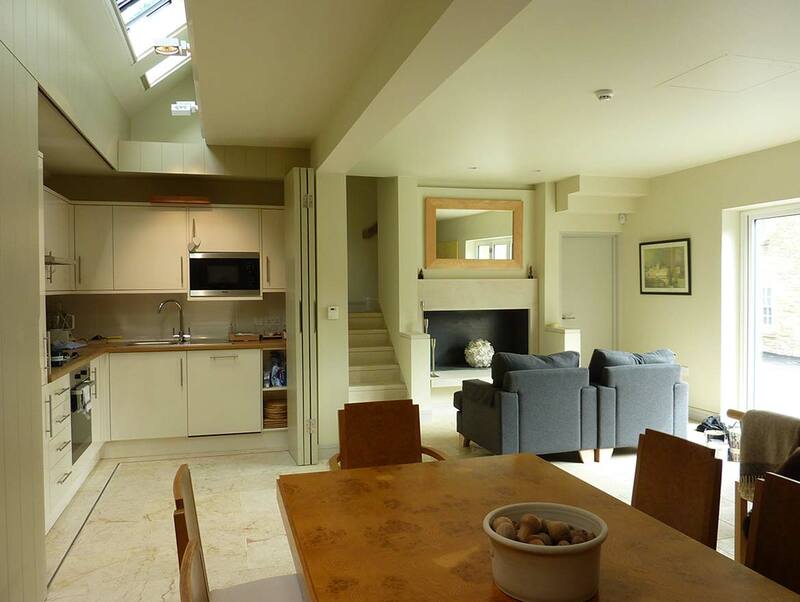 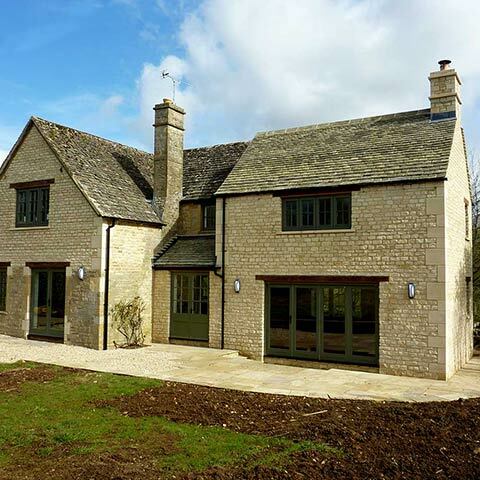 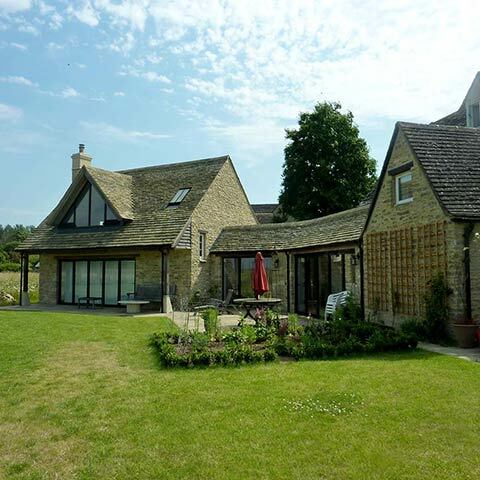 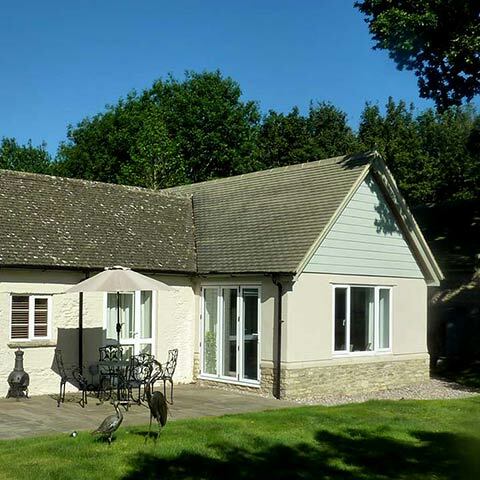 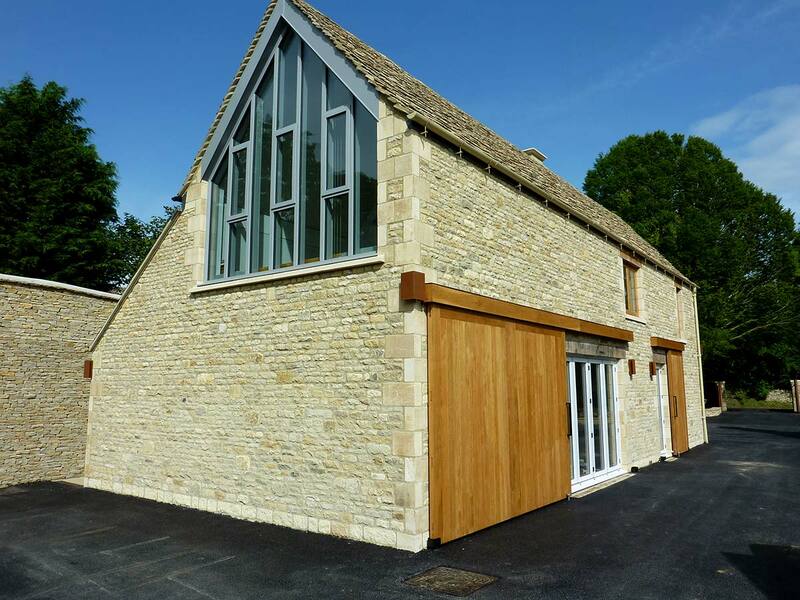 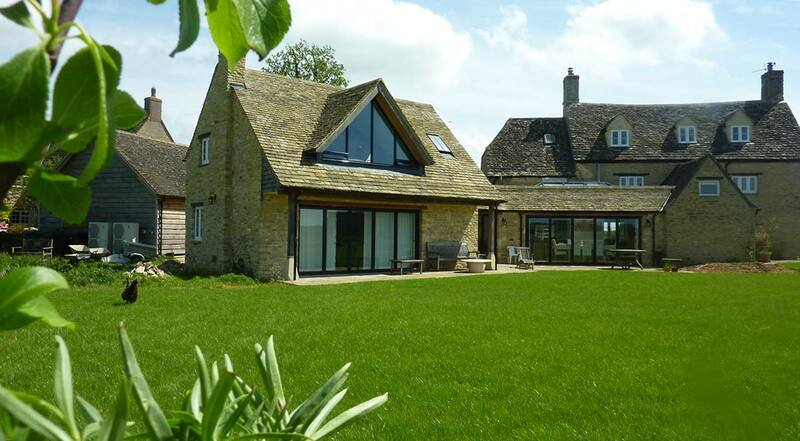 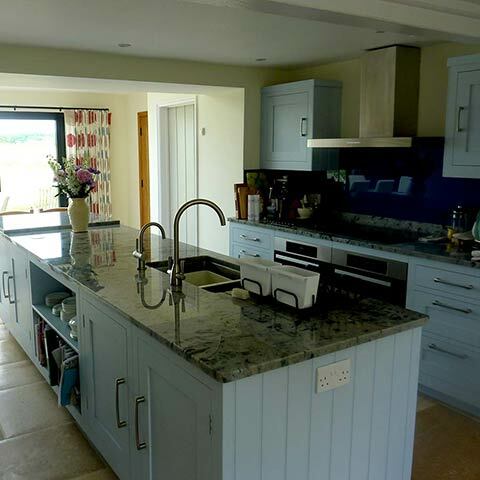 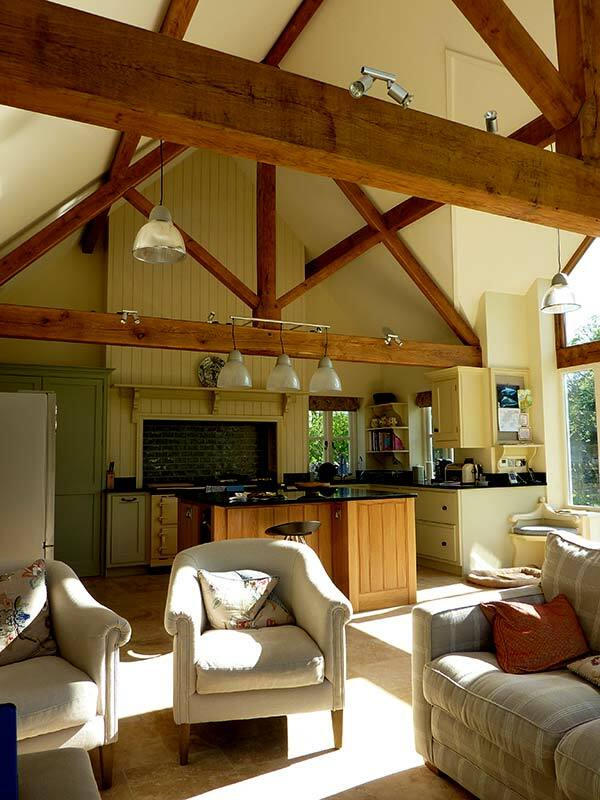 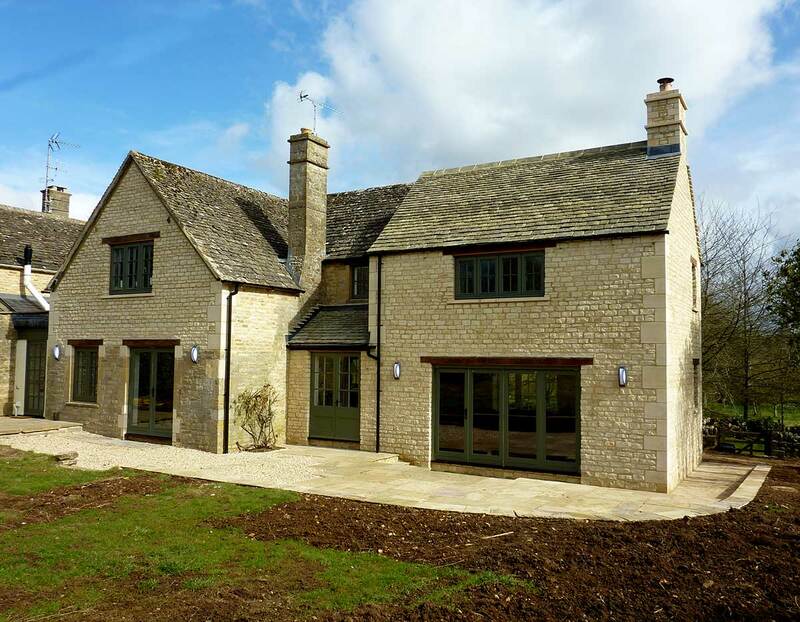 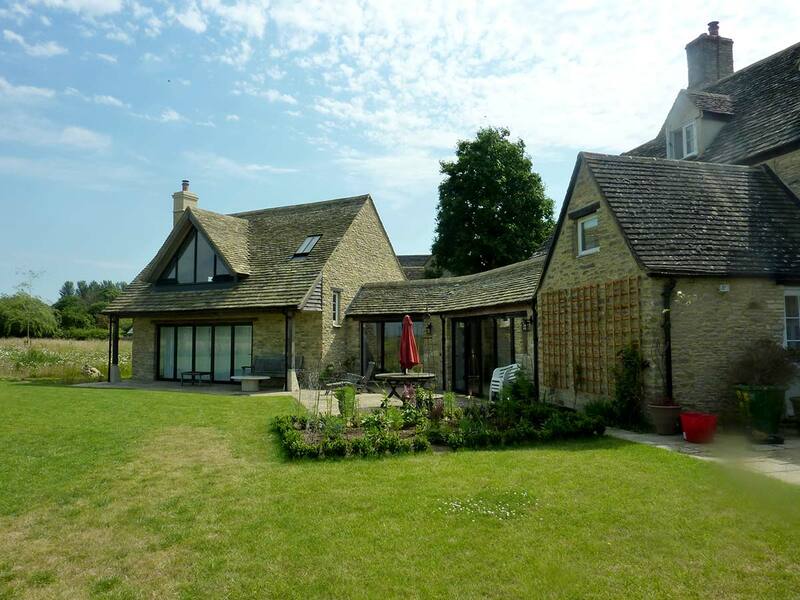 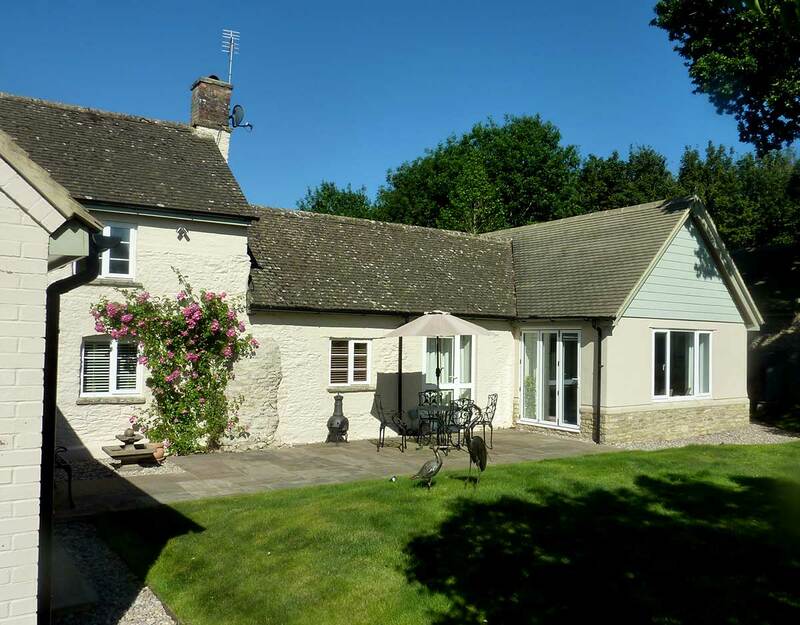 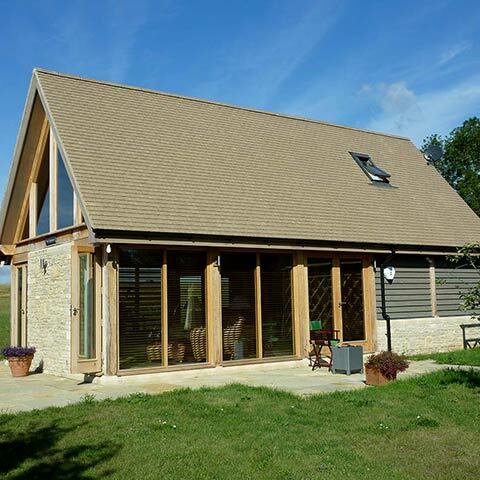 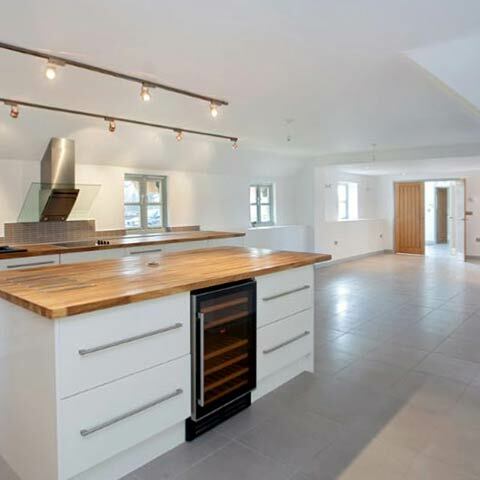 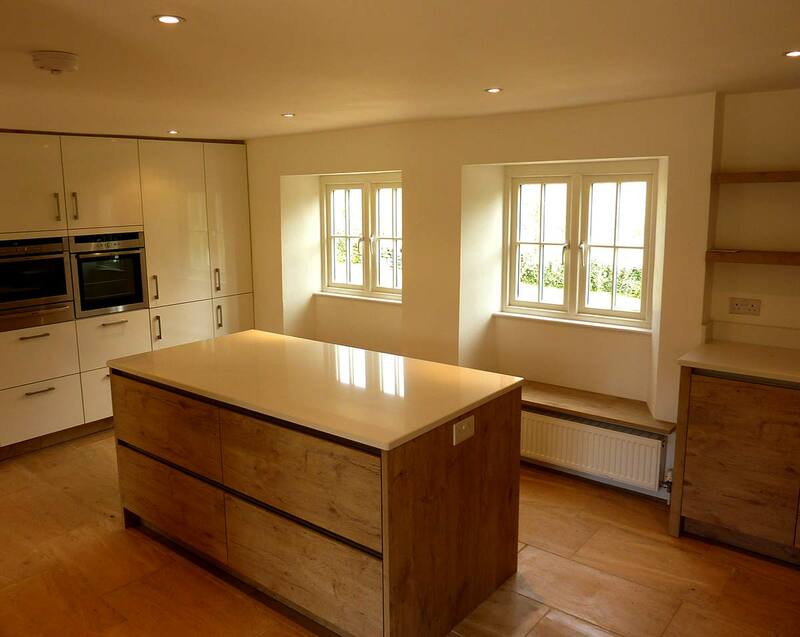 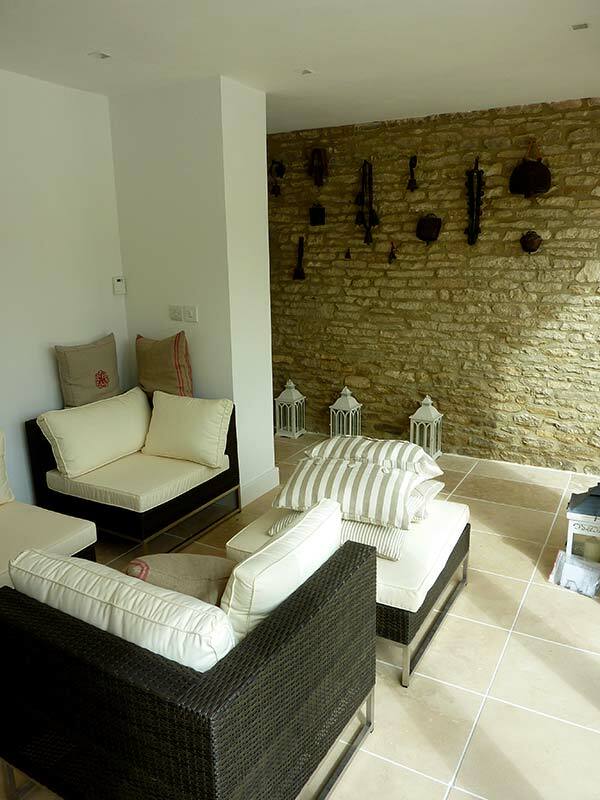 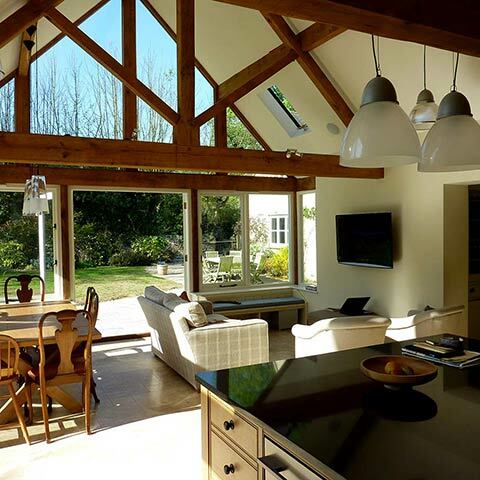 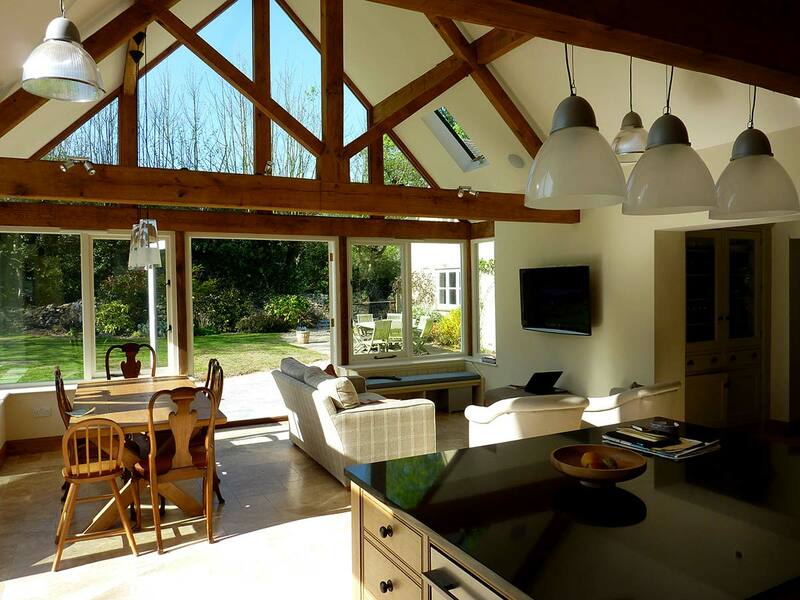 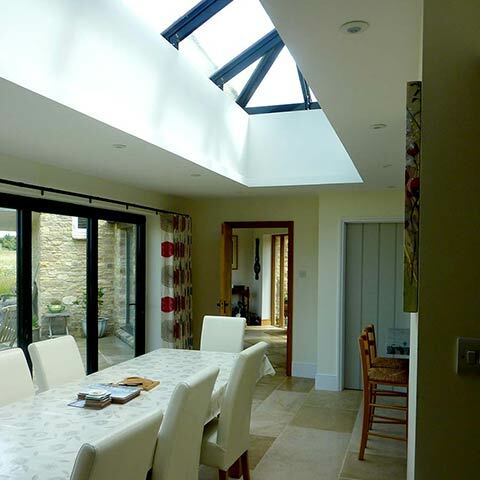 I C Architects have designed many substantial extensions to properties throughout the south of England. 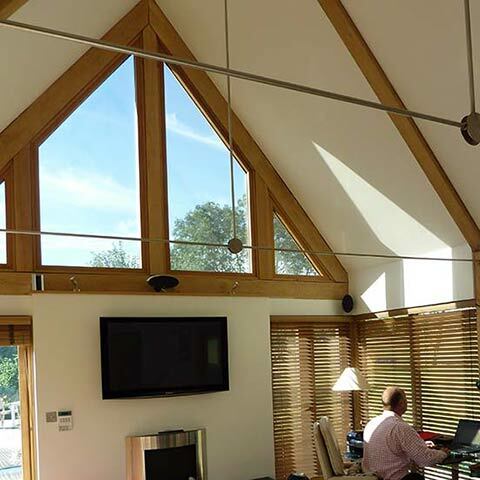 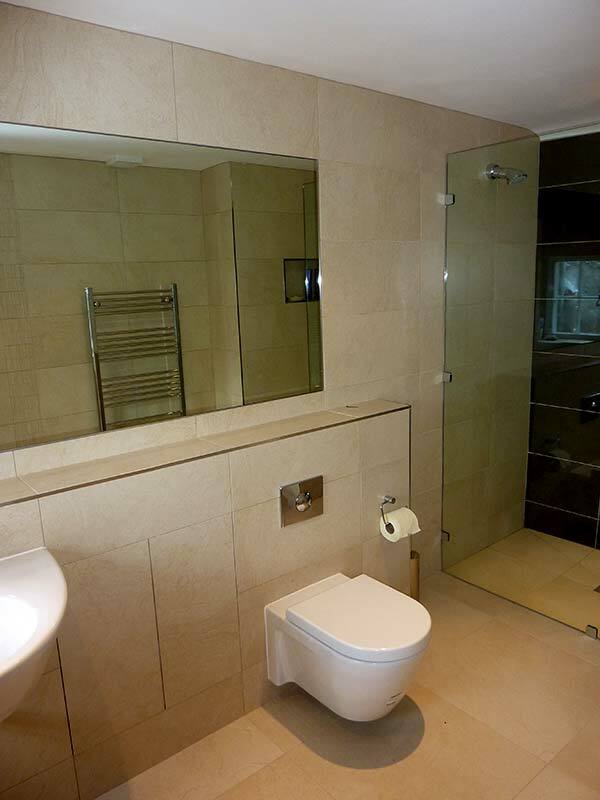 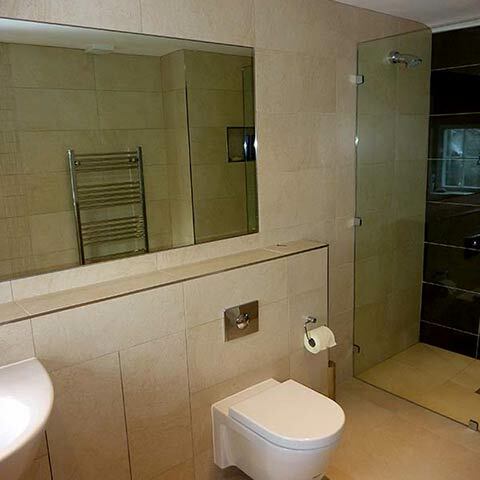 The following are a sample of sensitively conceived solutions to the usual requirements of more space to be added on without the end result looking like an addition. 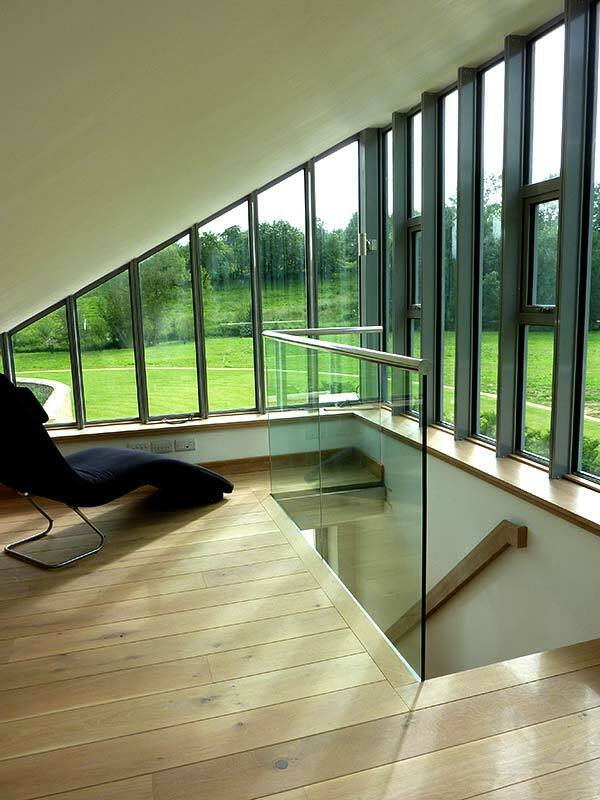 Crisply designed interiors complement the solutions.